This family memorial to Wilfred Chapman in the parish church of Barkway helps us piece together his family background. 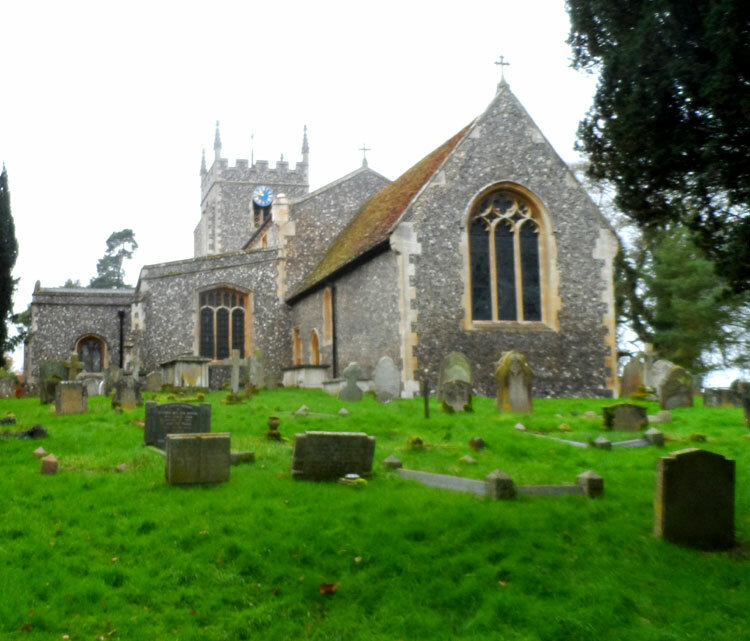 Although Wilfred Chapman was born in Goudhurst (Kent) and his parents lived in Whitby, he married his wife, May Campbell Sinclair, in Barkway in 1909. From 1905 to 1914 he lived and worked in India, so will have temporarily returned to the UK in order to marry. The marriage produced two daughters, who are named on the memorial, so it must be assumed that they returned to the UK from India to live in Barkway. 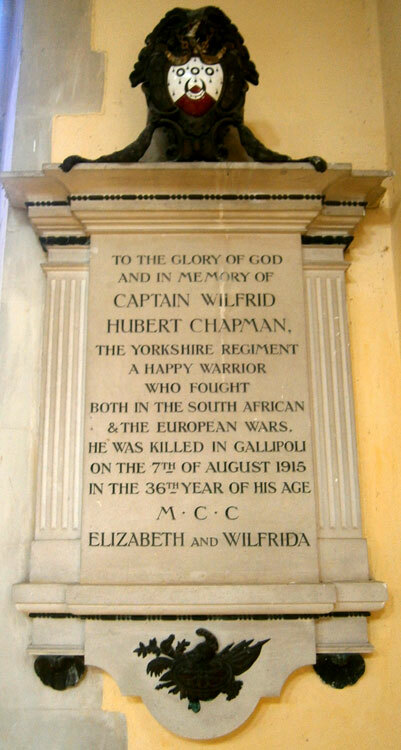 Wilfred Chapman's brother, Harold, also served alongside him in the 6th Battalion Yorkshire Regiment. For details of Hraold Chapman's service, see the page for the Vimy Memorial. 6th Battalion the Yorkshire Regiment. Son of Mr. J. J. and Fanny Chapman, of Whitby, Yorks; husband of May Campbell Chapman, of The Home Farm, Cromer, Norfolk. Served in the South African Campaign. Died 7 August 1915. Aged 35. For further details on Captain Chapman, see "Soldiers Photos - Individual" on this website. Photo © Copyright Bikeboy and licensed for reuse under this Creative Commons Licence.